At present, Dr. Follett is the Chief Operating Officer of LyChron LLC, a preclinical contract research organization (CRO) in Mountain View, California. As a board-certified veterinary anesthesiologist, he has conducted preclinical and clinical research to support domestic and international product development. 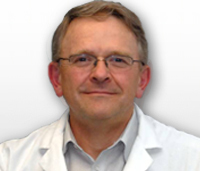 Dr. Follett has extensive experience in designing and conducting studies for assessing prototype feasibility, and evaluating safety and performance of devices such as pacemakers, internal cardiodefibrillators, aneurysm coils, guidewires, balloon dilatation catheters, stents, ablation catheters, and intravascular ultrasound (IVUS) catheters. His long tenure in the medical device industry has resulted in a comprehensive understanding of the testing required for combination products and bioabsorbable materials, and an understanding of domestic and international pathways for regulatory approval of medical devices. In addition to receiving his veterinary degree from the Western College of Veterinary Medicine (Saskatoon, Saskatchewan, Canada), Dr. Follett completed residency and fellowship training in veterinary anesthesia and critical patient care at the University of California (Davis, California). He has also held management positions at Guidant Vascular Intervention and Boston Scientific (in the Neurovascular, Electrophysiology, and Imaging Business Units), and prior to joining LyChron he was the Director of Preclinical Research for Abbott Vascular. In addition to his extensive product development experience, Dr. Follett gained experience as a research veterinarian and staff manager in Sulzer Intermedics' GLP-compliant preclinical research facility overseeing all surgical and anesthetic procedures conducted in three operating theaters/rooms. Further, Dr. Follett owned and operated a private veterinary practice in Calgary, Alberta, Canada, and he worked for the University of Calgary performing preclinical research in support of a liver-transplant program.